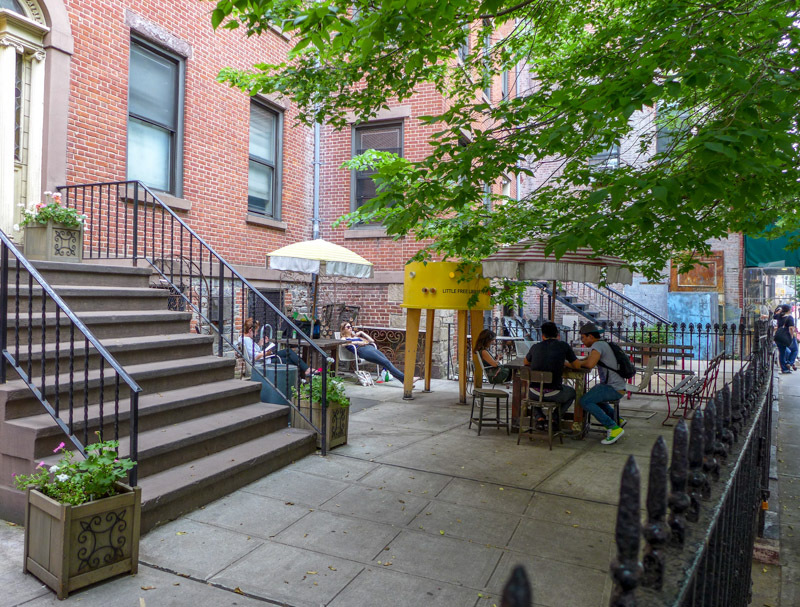 As I’ve been packing up my East Village apartment ahead of moving, I’ve been thinking about where I can donate the alarming collection of stuff I never use. I plan to take most of it to the Housing Works in SoHo, but I thought I’d share my books with the people of New York City. 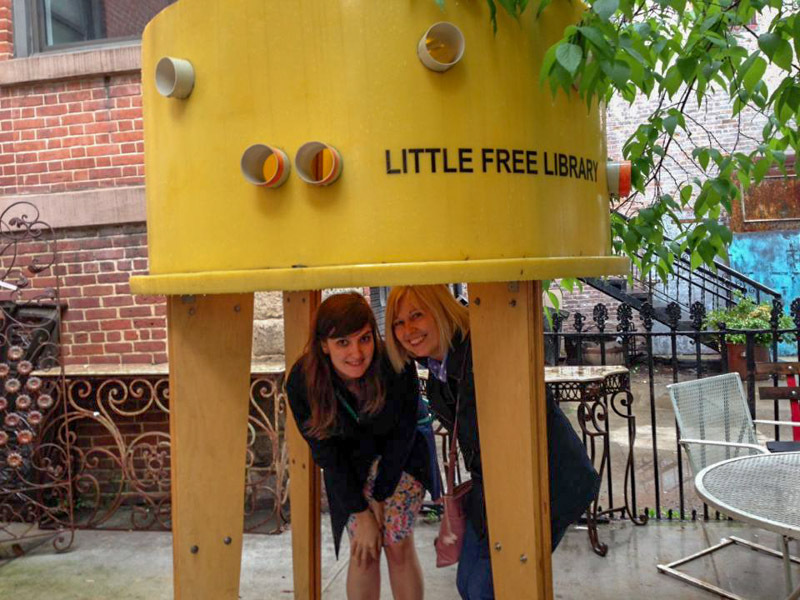 There was only one option: New York’s Little Free Library. 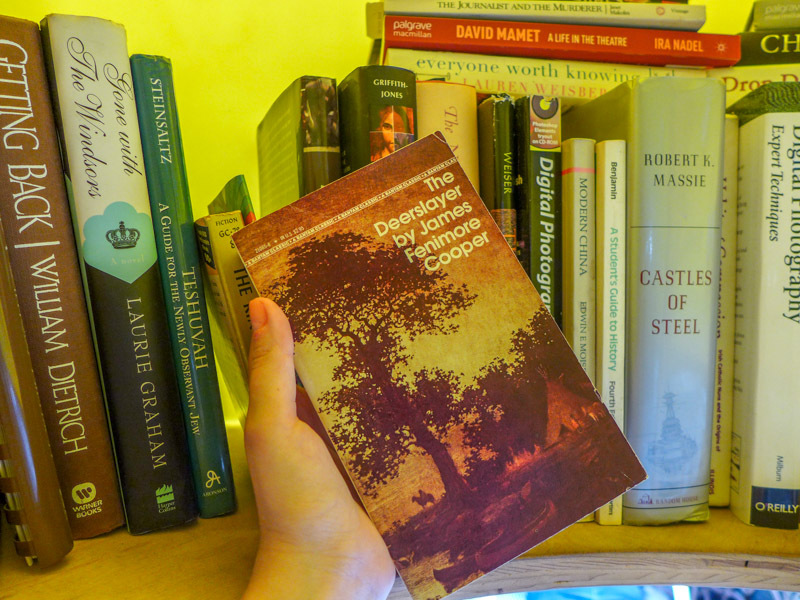 You might remember that I discovered the teeny tiny library last year. 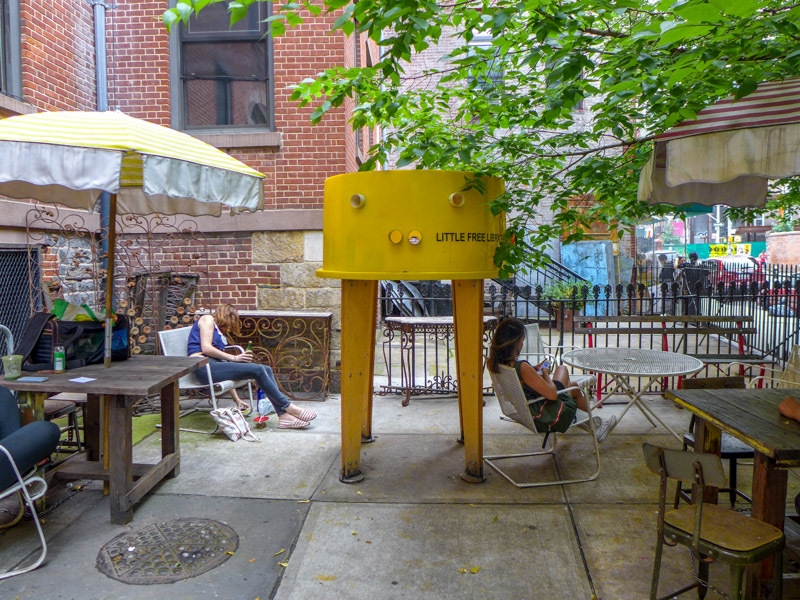 The yellow plastic hut – which resembles something out of Dr Who – is tucked away on Prince Street between Mott and Mulberry streets. 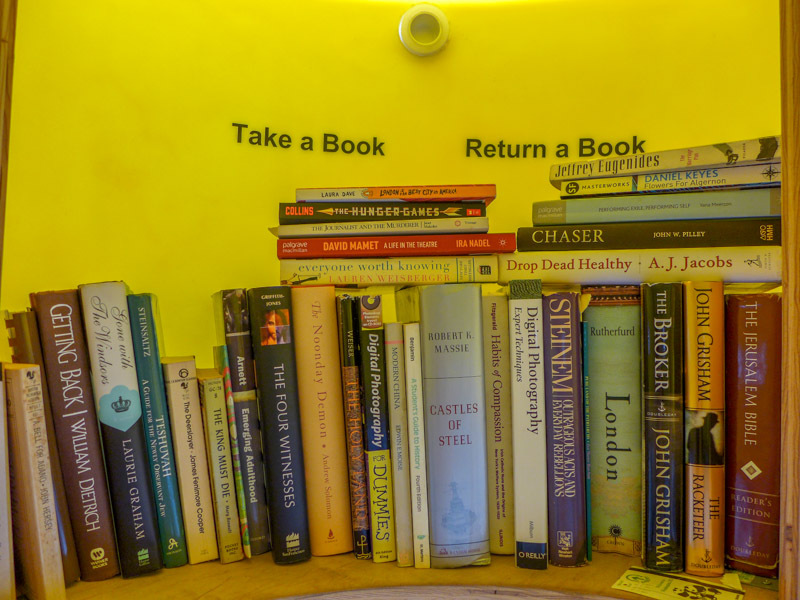 It’s part of the Little Free Library scheme, which encourages residents to pick up a book and leave one in return. 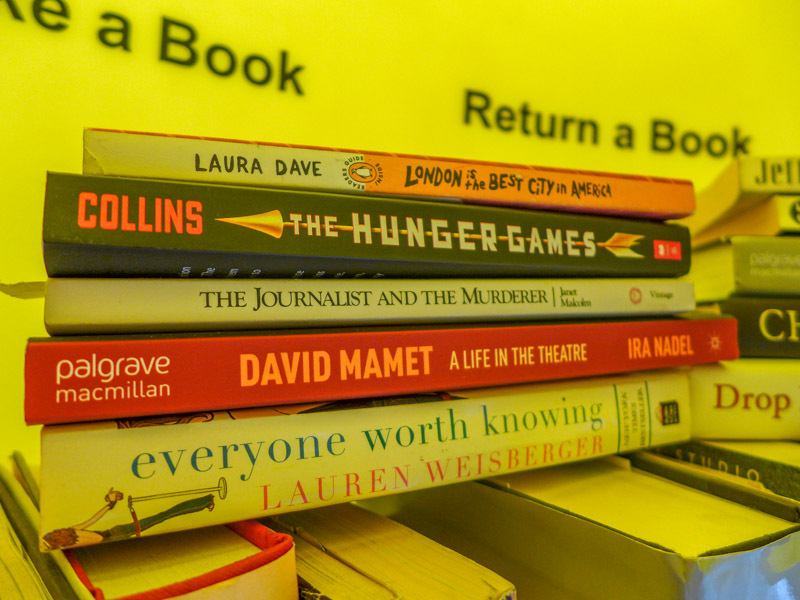 The libraries have popped up in birdhouses or telephones boxes across the country, and a handful dotted the city last year – but I thought they were supposed to be removed by September. I saw this one was still standing a couple of months ago when my mum and aunt were in town, and we stopped by to check out its wares and pose for some snaps. But I was so sad to see that there was only one book on the shelf! So when I thought about where to take my 15 or so well-read books, this seemed the obvious choice. I was happy to see there were a few more lining the shelves this time. I added a selection – from the Hunger Games and some chick lit to tomes about the history of theater. I also donated some great books I’ve read for work, like this one about a dog named Chaser who knows more than a thousand words. 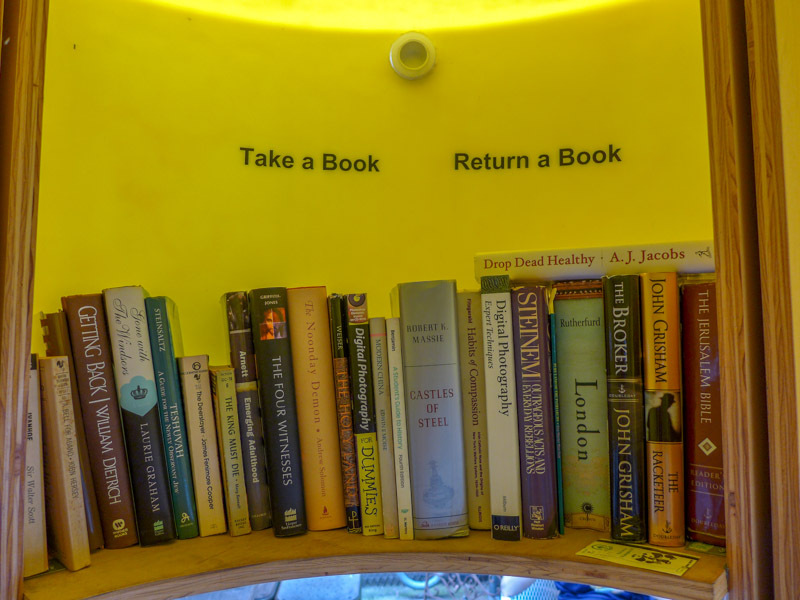 I considered following their motto of leaving a book and taking a book, but I resisted the urge. I can’t add more stuff to my boxes, plus I’m getting stuck into another Gillian Flynn. With my load much lighter, I skipped on my way.